I bookmarked this artist too...so fabulous....too bad she doesn't sell directly online. Love your design around the painting! Such cool pieces! So unique! And as always, amazing design. The art is amazing. Can you buy her work in the US? The Adler credenza is still one of my favorites. So wonderful to find a new artist! I love her work. i LOVE this room! 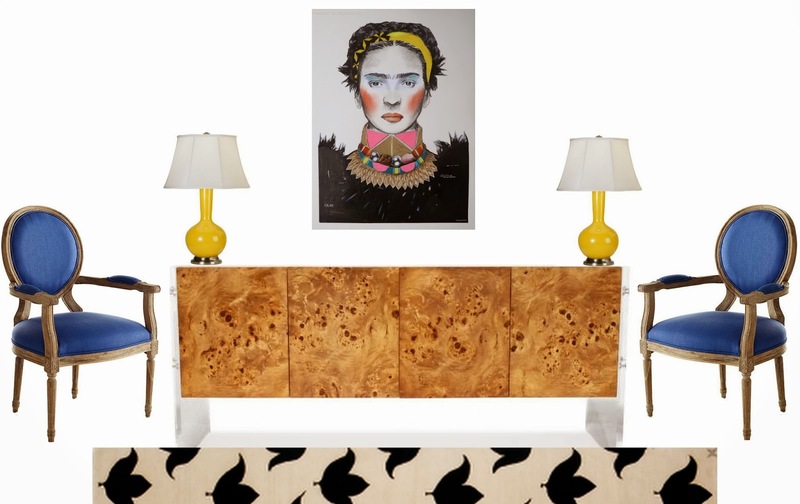 that credenza is absolutely gorgeous! and I always love a cool statement piece of art!